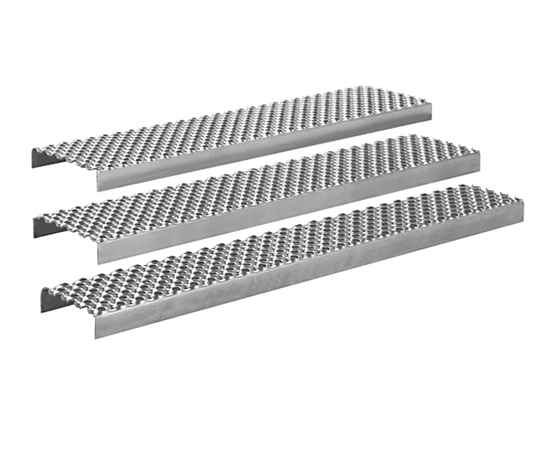 Type O3 perforated planks and gratings are used in industrial and commercial buildings requiring high load criteria. 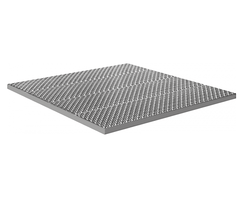 They are characterised by a series of 14mm punched indentations and 8.5mm drainage holes, arranged in a square pattern in 3mm-thick material. 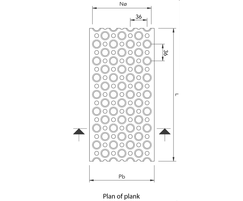 This punched profile provides excellent slip resistance, unsurpassed high strength to weight ratio and increased drainage owing to the larger holes giving a transparency of 28-32%. 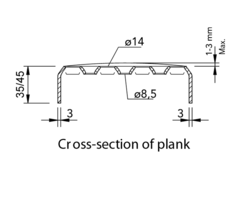 Type O3 planks and gratings can be made in a variety of different widths, heights, lengths and profiles. 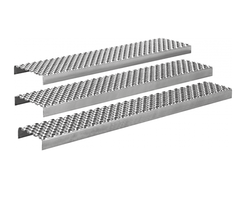 Products can be supplied combined together as welded modules for easy fitting, or individually if preferred.